With the update of Outlook 2013, Microsoft has reaffirmed it’s commitment to Outlook as an important part of the Office suite, launching into the touch world of Windows 8. I’ve been a user since 2000, and over the years have accumulated a large collection of .pst and .msg email files that contain an important business and relationship history. 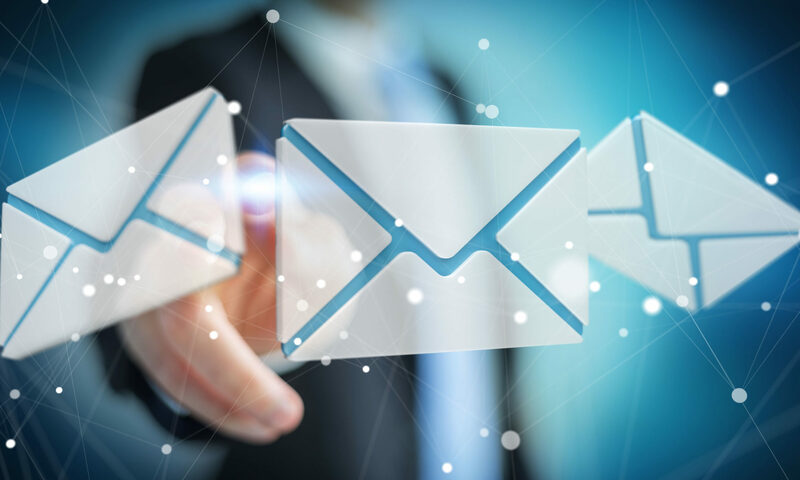 Pst files are the Outlook database files that store all of your email messages, calendar items, file attachments, contacts, etc., and they can get quite large. I also have Windows folders filled with .msg and .eml files; these are individual email messages that have been saved outside of Outlook. Pst Viewer Pro is a tool that can augment my relationship to MS Outlook. It provides a flexible capability to view email stored in my older Outlook pst, .ost, .msg or .eml files. Use the folder navigation on the left side of Pst Viewer Pro to select the location of your .pst or .msg files. Pst Viewer Pro can read an entire directory of thousands of individual .msg files, or if can open a single .pst or .ost file and display all of the emails inside. To select a .pst file, click on it. This will cause the emails to be displayed in the mail list. Click on any email in the mail list that you would like to view, and it will be displayed in the viewing pane. Messages are rendered in full html, rich text or text formatting, with hyperlinks active. If you double click on an email in the list, it will be displayed in a separate window that supports full screen viewing. You can have multiple emails open in this manner. Pst Viewer Pro’s toolbar provides quick access to often used functions, including export functions, including the capability to export selected emails to PDF and other formats. To export emails to pdf, first search the .pst file to find the email messages you want to convert to .pdf. Next, select the email messages from the mail list. To select all emails in the list, type Ctrol-A on your Windows keyboard. Finally, select the desired export profile from the drop down list and then click the start button. An animated image below will demonstrate the entire process of searching, selecting, and exporting. 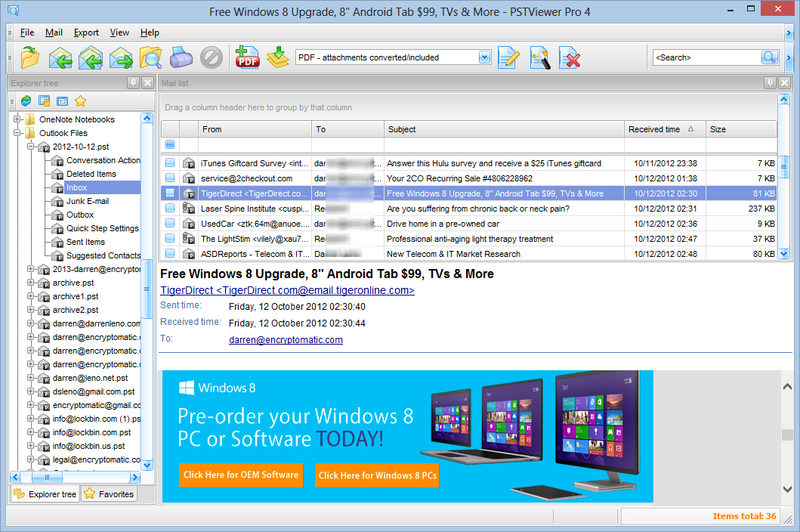 Pst Viewer Pro is a multi-functional email viewer that supports .pst, .msg, .eml and .ost files. You can search for emails, view them in the viewing pane, and even export emails to .pdf, and other formats. Pst Viewer Pro helps manage your email content. Download a trial today and enjoy Pst Viewer Pro free for 15 days.